Unique and quirky One Pager for Palco RUC – a stage at the biggest Portuguese academic festival, Queima das Fitas. Cheers for the build notes João – interesting to learn how the animations on each artist are based on their music style. 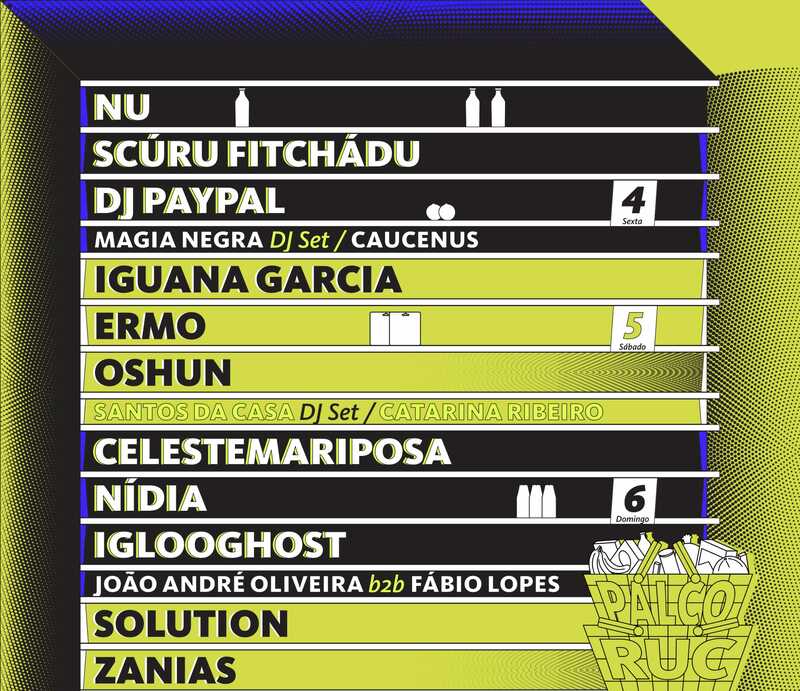 Palco RUC is a stage on the biggest Portuguese academic festival, Queima das Fitas, endorsed by the University of Coimbra Radio (RUC) and with focus on alternative and experimental music and artists. The purpose of this site is to show the lineup for the four days of the stage (May 4,5,6 and 7 and give the opportunity for the people who go to the festival to have an idea of ​​what they would see over there. The design and colors chosen enhance this alternative mindset and the animations on each artist are based on their music style. The most struggling part of the development process of the site was the very short timeline (this site was made in less than 4 days) due some delays on the design process, since my role here was mainly UX/UI design and front-end development — the artistic lead (logo, identity, illustrations) was made by other person, Rúben Rodrigues. Despite this, I liked the final result and I’m proud of it!